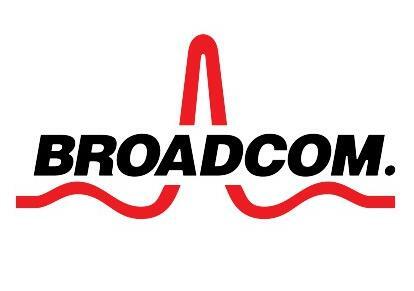 Broadcom expects its Q4 revenue to usher in a big gain, thanks in part to Apple’s new iPhone release. September 9th news, according to foreign media Apple Insider reported that Broadcom is one of Apple's suppliers, the company provided an optimistic end-of-year revenue estimate on Thursday. The company expects its wireless component business revenues to rise by 25% in the fourth quarter of 2018, thanks in part to Apple's upcoming 2018 iPhone series. Hock Tan, CEO of Broadcom, said in a third-quarter earnings analyst conference call in 2018 that he expects seasonal increases in orders for wireless parts, which will boost the company’s revenue in the fourth quarter. Welcome to growth. The 25% increase is largely due to a large number of orders from a North American customer, which analysts believe is a “North American customer” that refers to Apple. Broadcom offers many components for iPhone devices, including touch screens and wireless charging controllers in the iPhone 8 and iPhone X. As early as the second quarter of 2017, Chen Fuyang gave a similar financial forecast. He said that due to Broadcom's “North American customers”, the company's wireless component business revenue is expected to increase by about 20%. If Apple relies on Broadcom to provide similar components for this year's iPhone line, then today's forecast suggests that Apple expects the demand for the new iPhone this year to be about the same as the iPhone 8 and iPhone X. Despite a year-on-year decline in iPhone shipments during the 2017 holiday season, Apple sold 77.3 million iPhones at a record average price of approximately $796.42. The quarter was the best quarter for the company's history, with revenues reaching $88.3 billion. Apple will hold a new autumn product launch at 10:00 am local time on September 12 (1:00 am on September 13th, Beijing time). At that time, Apple will launch a new iPhone lineup. In addition to the 5.8-inch OLED version of the iPhone, it is widely rumored that Apple will launch a 6.5-inch OLED version of the iPhone with a larger screen, and cheaper with Face ID facial recognition. 6.1-inch LCD version of the iPhone. Of the three new iPhones, the 5.8-inch and 6.5-inch models are called iPhone XS. The newly leaked picture confirms that the flagship iPhone offers a gold option, while the iPhone X launched last year has only silver and gray options. In addition to the new iPhone, Apple is also preparing to release the new Apple Watch, the upgraded iPad Pro, the upgraded version of AirPods, and the long-awaited AirPower wireless charger. All of these devices are expected to be unveiled at the September 12th press conference, and bookings for the new iPhone will begin on Friday, September 14. According to BGR, a technology information website, Apple will broadcast the conference for the first time on Twitter and its mobile apps.